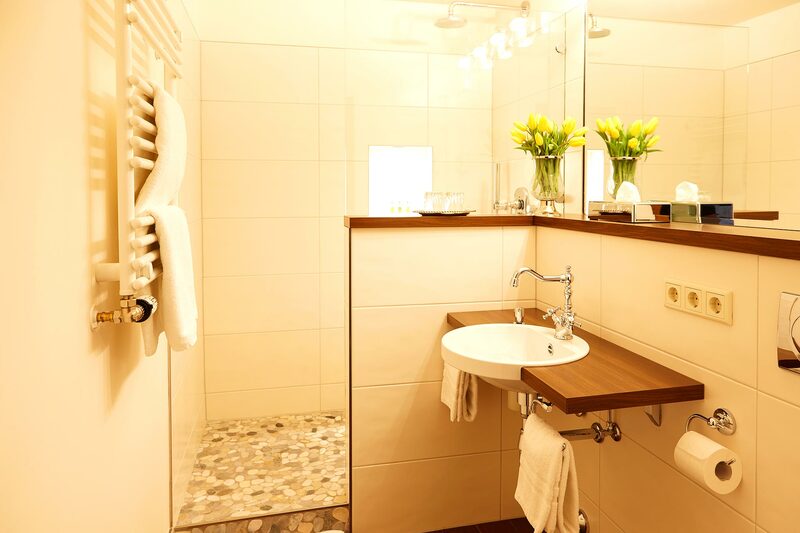 Our three spacious Prestige Deluxe Rooms offer you comfort and ambience and satisfy the highest expectations. 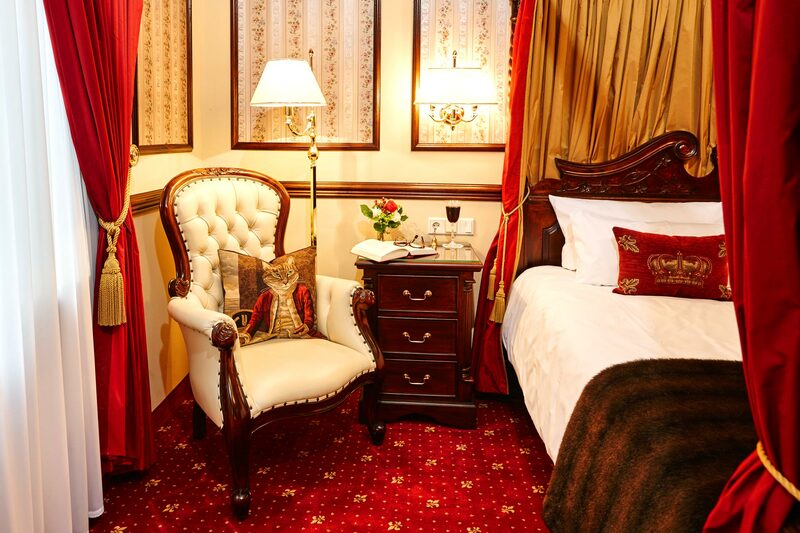 Each room represents unique hand-crafted interiors from solid mahogany wood. 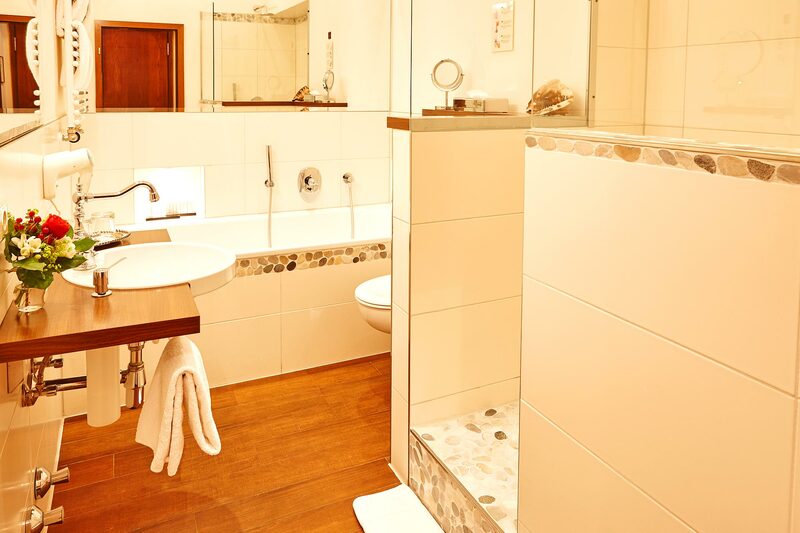 Enjoy in these rooms the pleasure of having your own balcony, bath tub, and four-poster bed. 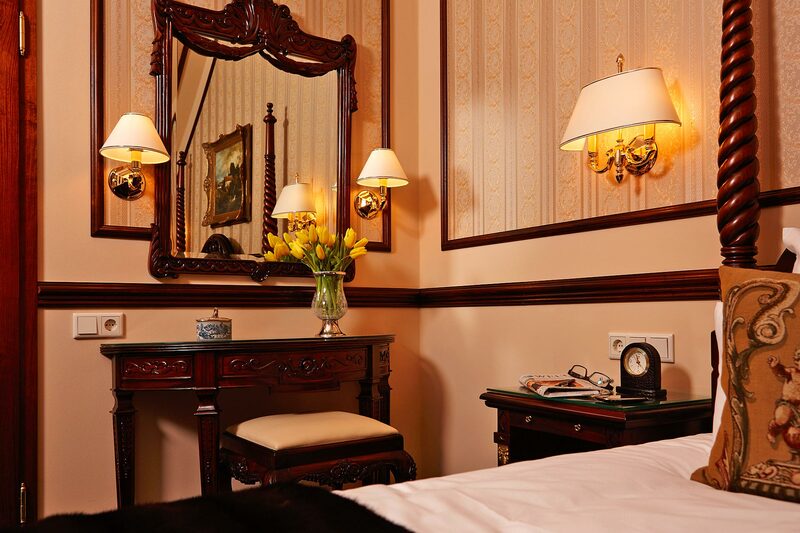 Some of our Deluxe Rooms are fitted with dressing tables for the ladies, while your loved ones can relax in the chaise lounge and make themselves comfortable. 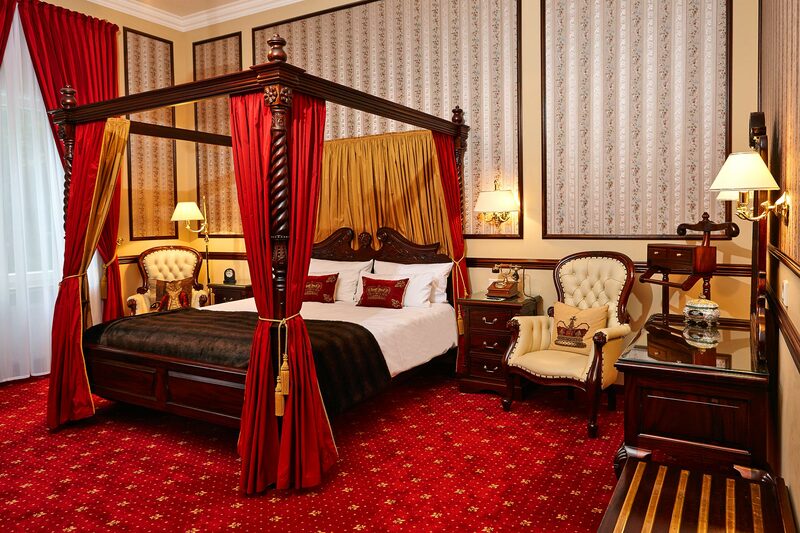 With our four-poster bed and your own oasis, nothing can stay in the way of a romantic evening. Or after an exhausting day, enjoy the experience of the balcony that one of our rooms offers with the magnificient view of the wonderful gardens, dominated by ancient trees and an illuminated ornamental fish pond. 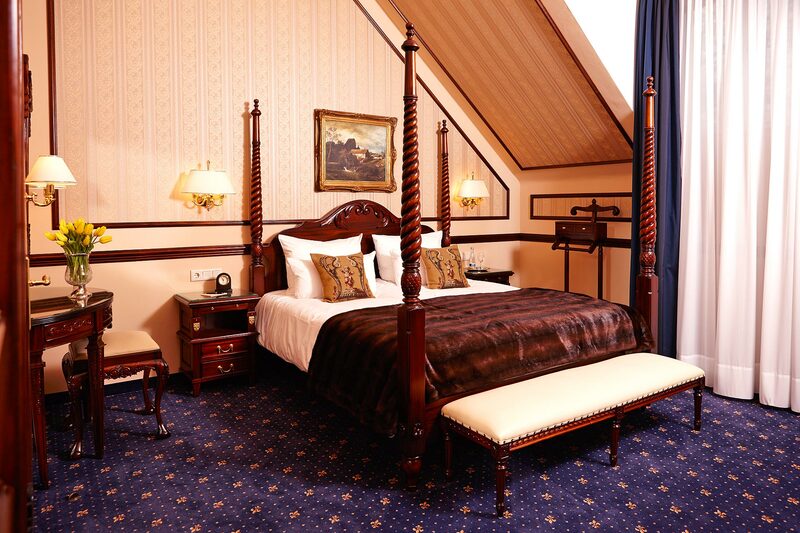 For a relaxing sleep, our exceptional Kingsize Beds satisfy your wishes. Enjoy the high-definition LCD-TV with 600 satellite channels in various languages. 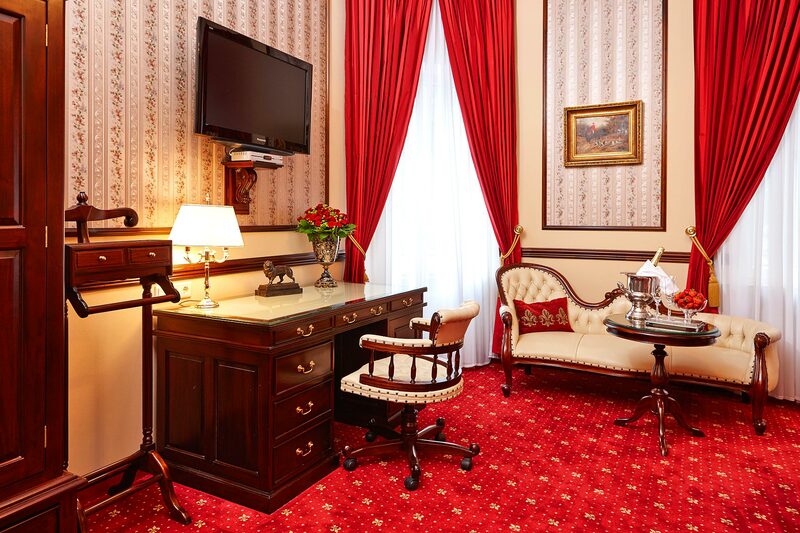 Whether for a day or a week, these spacious rooms will accommodate your stay.